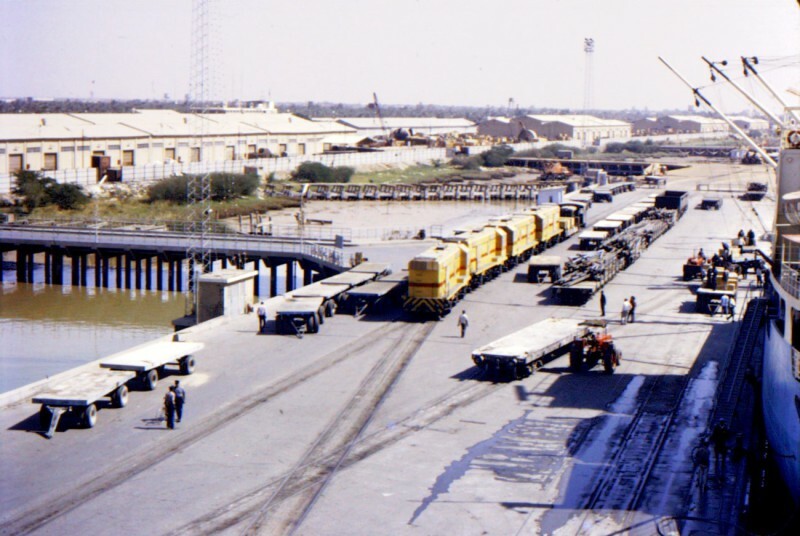 Santab Jetty in Khorramshar, Iran, in October 1971. The facilities of this port were very basic – just a long jetty built out over deeper water in the Shatt al-Arab River with no cranes or other gear. Wheeled trailers & railway trucks were brought to the side of the ships and cargo was worked using the ship's own gear. There were officially two 12-hour shifts per day, but the number trailers & trucks brought alongside each shift were never sufficient for 12 hours of work.